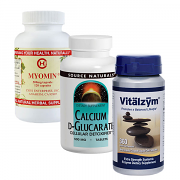 Stone Free™ is a unique combination designed to support the kidneys, liver and gallbladder. Dandelion root and turmeric root are bitter substances that can support the body's normal bile flow. Parsley root and marshmallow root have been used historically for supporting normal fluid elimination. Planetary Herbals Stone Free™ is a unique combination designed to support the kidneys, liver and gallbladder. Dandelion root and turmeric root are bitter substances that can support the body's normal bile flow. Parsley root and marshmallow root have been used historically for supporting normal fluid elimination. In dealing with the elimination of waste and toxic substances from the body, the kidneys, liver and gallbladder can, over time, become overburdened. Planetary Herbals offers you Stone Free, a unique blend of turmeric root, coin-leaf desmodium, lysimachia, dandelion root extract, ginger root, lemon balm leaf, marshmallow root, parsley root, dandelion root, and licorice root. These herbs have been used historically to support the kidneys, liver and gallbladder and promote healthy organ function. This comprehensive formula aids normal fluid elimination and bile production, and assists with the body's natural cleansing processes. 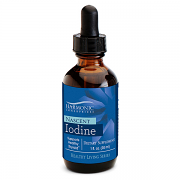 Primarily detoxifying botanicals, the herbs in Stone Free act to flush, cleanse and detoxify, ridding the body of mineral and other waste and fat-soluble toxins. Healthy kidney function involves the filtration of waste products (including various minerals) from the blood, and the excretion of liquid waste through the urine. Primary kidney supporting herbs such as parsley root, and marshmallow root have been used to aid normal fluid elimination and general genitourinary health, thereby helping to ensure the smooth passage of urinary waste through the urinary tract. Coin-leaf desmodium and lysimachia's flushing and cleansing action helps to rid the body of mineral waste. Classified as a tonic, parsley root stimulates and improves the eliminative function of the kidneys and assists in the balance of fluids in the body. Marshmallow root, in particular, is rich in mucilage— its coating action is known to soothe, moisten, and protect the genitourinary tract. One of the liver's main methods of detoxification is in the manufacture and secretion of bile, a carrying agent for the elimination of toxic substances from the body. Stored in the gallbladder and then released into the small intestine, bile also serves in the digestion of fatty acids and absorption of fat-soluble nutrients. It emulsifies fats, and therefore is essential in the proper health of the gallbladder. However, if bile is not properly metabolized, it can mix with excess minerals, affecting its normal excretion functions. Herbs that support liver and gallbladder health have been used for centuries in traditional herbology. Known as cholagogues, they stimulate the production of bile, or promote the discharge of bile into the duodenum, and also flush and detoxify the gallbladder. This in turn helps to emulsify fat deposit build-up common with high fat, low fiber diets. Dandelion root and turmeric, two such cholagogues, are bitter substances that support digestion and help facilitate the body's normal flow of bile. In addition, turmeric's cleansing action helps to detoxify the liver. Licorice root, another cholagogue, is a soothing lubricant that assists the body's natural cleansing processes and the excretion of toxins and waste. Ginger root and lemon balm leaf further aid in digestion and elimination. To support liver and gallbladder health avoids the excessive consumption of saturated fats. For additional kidney support, drink plenty of pure water and avoid excess consumption of foods high in oxalates or oxalic acid, such as coffee, chocolate, cocoa, tea, rhubarb, spinach, and other plant foods. 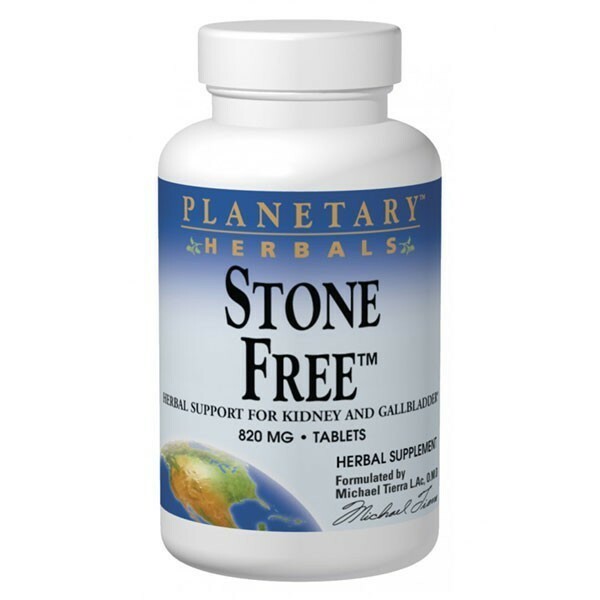 Stone Free™ is a unique combination developed exclusively for Planetary Herbals by world-renowned herbalist Michael Tierra, L.AC., OMD, AHG. Like the rest of the Planetary Herbals product line, Stone Free™ exemplifies Planetary Herbals commitment to herbalism at its best-combining the wisdom of traditional herbalism with the advances of modern science. Backed by the traditions of Western and Chinese herbalism and years of clinical experience, this formula offers you the vital support needed for optimal kidney, liver and gallbladder health. 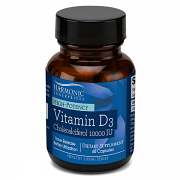 The result: an herbal formula you can rely on for ongoing wellness! 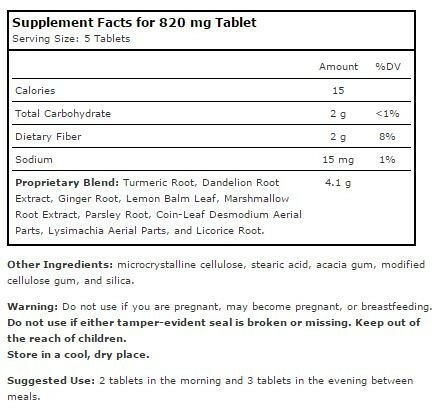 Proprietary Blend (update 12/15): Turmeric root, dandelion root, marshmallow root extract, parsley root, ginger root, lysimachia aerial parts, lemon balm leaf, licorice root, and lemon balm leaf extract. PROP 65 WARNING For California Consumers: This product can expose you to Lead, which is known to the State of California to cause birth defects or other reproductive harm. For more information visit: www.P65Warnings.ca.gov/food.